for Videos and Commercials by Professional Pet Sitting Etc. Watch Out for Gus Bennett !! Merlin sees a Great Dane !! Merlin goes incognito after we receive over 1000 likes !! Samson Hordis was one of our long term pets. We cared for him when his owner was away as well as daily mid day walks every Monday – Friday from the time he was 8 weeks old to when he passed away from old age. We certainly loved Sam. Settled in 1719 by Scottish immigrants seeking religious freedom, Windham was originally home to the Pawtucket Indians. It represented but a small part of a larger settlement, known as “Nutfield”. Windham is the birthplace of Samuel Dinsmoor, Governor of New Hampshire from 1831 to 1834. Professional Pet Sitting Etc. has provided responsible and loving, in your home pet sitting, dog walking and pet care services in Windham NH since 2000, and we currently have many clients in Windham and surrounding towns. You have probably never given much thought to just how much time and effort you put into your pet’s good health and happiness. When you are gone, many things have to be done on a daily basis to make certain your pets are safe, secure, comfortable and happy. What do we offer? Peace of mind. Oh, and we will also bring in the mail and newspapers! We have pet sitters covering this area, however, we are rapidly growing in this area and are currently looking to add more sitters. We are especially in need of mid-day pet sitters. Please check out our employment section on our website for more information on becoming a professional pet sitter with us. Please contact us for more information regarding pet sitting services in Windham NH. In 1816 Wilton opened it’s first Post Office. The Town Hall was built in 1885 and the town Library was built in 1908. By the early 1920’s, Wilton was a favored tourist destination for artists and others, escaping cities to the south. Professional Pet Sitting Etc. has provided responsible and loving, in your home pet sitting, dog walking and pet care services in Wilton NH since 2000, and we currently have many clients in Wilton and surrounding towns. Please contact us for more information regarding pet sitting services in Wilton NH. Starting as a 1735 grant to soldiers in the Canadian wars, this town was named “Beverly-Canada”, for the soldiers’ hometown of Beverly, Massachusetts. It then went through several names and in 1764, it was incorporated as “Weare”. Professional Pet Sitting Etc. has provided responsible and loving, in your home pet sitting, dog walking and pet care services in Weare NH since 2004, and we currently have many clients in Weare and surrounding towns. Please contact us for more information regarding pet sitting services in Weare NH. The Temple Glass Works was founded here in 1780 by Robert Hewes of Boston, who employed Hessian glassblowers, former members of the British Army. In 1781 Mr. Hewes petitioned the legislature to allow a lottery to raise funds to keep his glass business going, which was granted. Temple glass is rare and sought after today. Professional Pet Sitting Etc. has provided responsible and loving, in your home pet sitting, dog walking and pet care services in Temple NH since 2004, and we currently have many clients in Temple and surrounding towns. Pet Sitting in Temple NH is limited. Please contact us for more information regarding pet sitting services in Temple NH. Settled in 1738, Sharon was originally a part of Peterborough. It was incorporated as Sharon in 1791, taking its name from Sharon, Connecticut, where many of its settlers had originated. Professional Pet Sitting Etc. has provided responsible and loving, in your home pet sitting, dog walking and pet care services in Sharon NH since 2004, and we currently have many clients in Sharon and surrounding towns. Please contact us for more information regarding pet sitting services in Sharon NH. In 1774 the first minister of Sandown built the Sandown Meeting House. It had an 11 foot high pulpit and marble columns supporting the gallery, and is still an excellent example of early New England church architecture. In fact, the meetinghouse is said to be the finest of its type in New Hampshire, with outstanding craftsmanship and architectural details. Professional Pet Sitting Etc. has provided responsible and loving, in your home pet sitting, dog walking and pet care services in Sandown NH since 2004, and we currently have many clients in Sandown and surrounding towns. Please contact us for more information regarding pet sitting services in Sandown NH. In 1902, Canobie Lake Park was established in Salem by the Massachusetts Northeast Street Railway Company, to encourage leisure excursions on its trolleys. The plan was successful, and the enterprise quickly became one of the leading resorts of its type in New England. Professional Pet Sitting Etc. has provided responsible and loving, in your home pet sitting, dog walking and pet care services in Salem NH since 2001, and we currently have many clients in Salem and surrounding towns. We have pet sitters covering this area, however, we are rapidly growing in this area and are currently looking to add more sitters. We are especially in need of pet sitters for all time periods. Please check out our employment section on our website for more information on becoming a professional pet sitter with us. 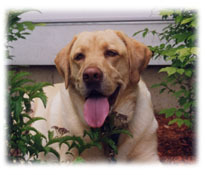 Please contact us for more information regarding pet sitting services in Salem NH. Professional Pet Sitting Etc. proudly sponsors Dogfest for the Salem Animal Rescue League. The Peterborough Town Library is the oldest free library supported by taxation in the United States. In May of every year, Peterborough holds its annual Children and the Arts Day festival. The festival is a chance for local students, ranging in age from preschool to high school and beyond, to exhibit their artistic and creative talents. Professional Pet Sitting Etc. 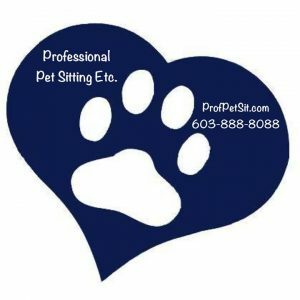 has provided responsible and loving, in your home pet sitting, dog walking and pet care services in Peterborough NH since 2004, and we currently have a few clients in Peterborough and surrounding towns. Please contact us for more information regarding pet sitting services in Peterborough NH. Pelham was split from Old Dunstable in 1741, when the border between Massachusetts and New Hampshire was changed and incorporated in 1746. The town is named in honor of Henry Pelham, Prime Minister of the United Kingdom from 1743-1754. Professional Pet Sitting Etc. has provided responsible and loving, in your home pet sitting, dog walking and pet care services in Pelham NH since 2000, and we currently have many clients in Pelham and surrounding towns. Please contact us for more information regarding pet sitting services in Pelham NH.